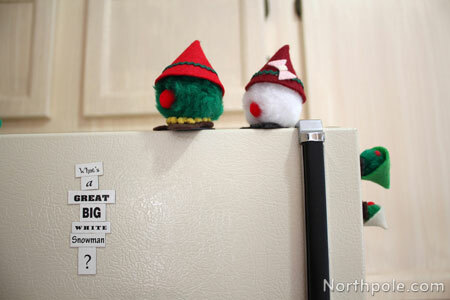 Meet the Christmas gnomes. Left to right: Papa G, Mama G, Kiddo G, and Baby G. Kiddo’s hat is just a teensy bit too large, but it’s Papa’s old hat, and Kiddo can’t wait to grow into it. Aren’t they cute? They’re round, fluffy, and just a wee bit bouncy! 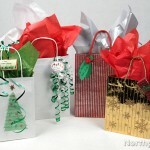 Print the template�and set aside. 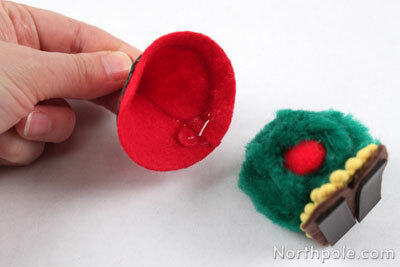 Using the template as a guide, cut out a semicircle from the felt, and set aside. 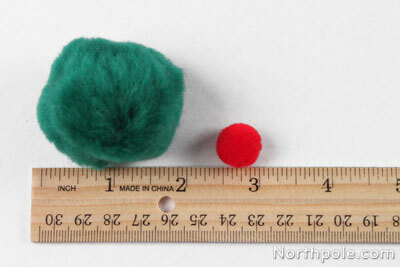 Note: The size of the semicircle depends on the size of the pompom. 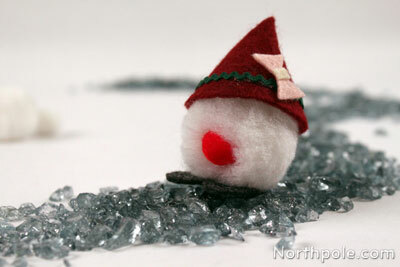 We cut a 4" circle in half for mama and papa gnome (about a 2" pompom). 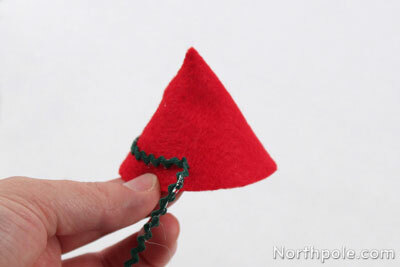 Cut out feet from felt, using the template as a guide. Set aside. 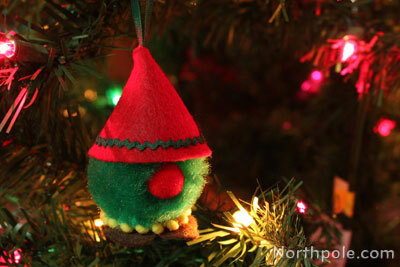 Select a large pompom for the gnome’s body, and a small pompom for its nose. 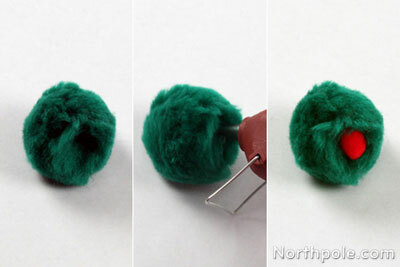 Glue small pompon onto the large pompom. 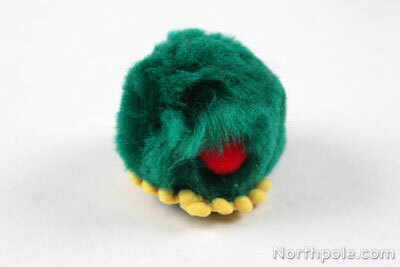 Burrowed a little hole (with your finger) into the large pompom so that the nose is inset. 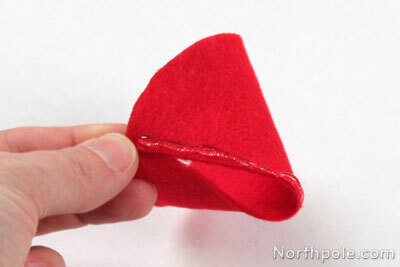 Roll the felt semicircle into a cone shape and hot glue the edges together. 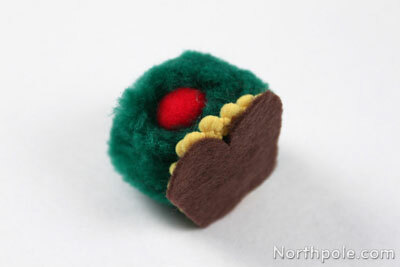 To decorate the hat, cut a piece of rick rack that is about 5.5" long. Begin gluing at the seam (on the back of the hat), about 0.25" from the bottom edge. 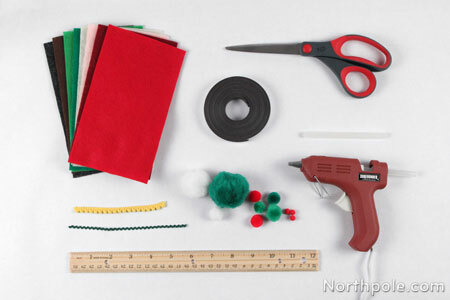 Continue gluing as you wrap the rick rack around the hat. 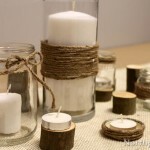 As you finish gluing the rick rack, trim excess, if needed. 5.5" of ribbon was the perfect length for our hat! Cut a piece of puffy trim that is about 4" long. 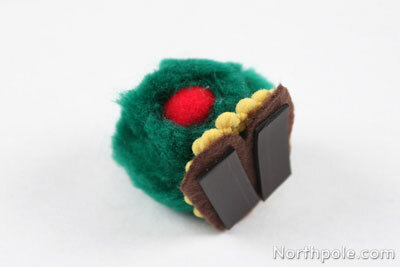 Glue the feet to the bottom of the large pompom (beneath the collar). Cut a piece of magnet for each foot and stick them underneath the feet. Glue the hat on top of the pompom. Now your gnome is complete! 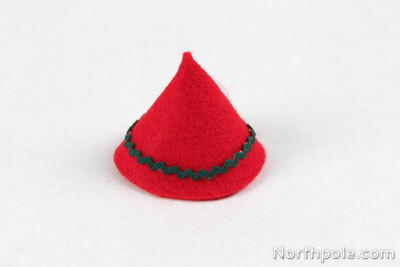 Cut a small bow from felt for mama gnome’s hat. 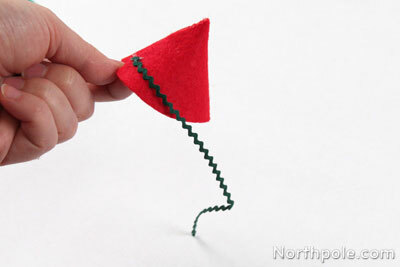 Turn the gnomes into ornaments by gluing a string to the felt semicircle BEFORE rolling it into a hat. 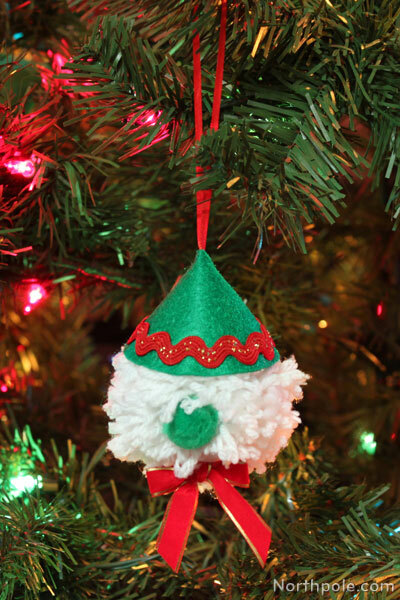 Make a yarn pompom in lieu of a store-bought pompom.